Liu, Xue-Yan, Keisuke Koba, Lina A Koyama, Sarah E Hobbie, M. Weiss, Yoshiyuki Inagaki, Gaius R Shaver, et al.. 2018. “Nitrate Is An Important Nitrogen Source For Arctic Tundra Plants”. Proceedings Of The National Academy Of Sciences 115 (13). Proceedings Of The National Academy Of Sciences: 3398 - 3403. doi:10.1073/pnas.1715382115. http://www.pnas.org/lookup/doi/10.1073. Asmus, Ashley, Amanda M Koltz, J. R Mclaren, Gaius R Shaver, and Laura Gough. 2018. “Long-Term Nutrient Addition Alters Arthropod Community Composition But Does Not Increase Total Biomass Or Abundance”. Oikos 127 (3). Oikos: 460 - 471. doi:10.1111/oik.04398. Dornelas, Maria, Laura H Antão, Faye Moyes, Amanda E Bates, Anne E Magurran, Dušan Adam, Asem A Akhmetzhanova, et al.. 2018. “Biotime: A Database Of Biodiversity Time Series For The Anthropocene”. Global Ecology And Biogeography 27. Global Ecology And Biogeography: 760-786. doi:10.1111/geb.12729. https://onlinelibrary.wiley.com/doi/abs/10.1111/geb.12729. Qiu, Chunjing, Dan Zhu, P. Ciais, Bertrand Guenet, Gerhard Krinner, Shushi Peng, M. Aurela, et al.. 2018. “Orchidee-Peat (Revision 4596), A Model For Northern Peatland Co2, Water, And Energy Fluxes On Daily To Annual Scales”. Geoscientific Model Development 11 (2). Geoscientific Model Development: 497 - 519. doi:10.5194/gmd-11-497-201. Euskirchen, E. S, Syndonia M Bret-Harte, Gaius R Shaver, C. Edgar, and V. E Romanovsky. 2017. 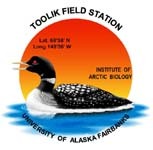 “Long-Term Release Of Carbon Dioxide From Arctic Tundra Ecosystems In Alaska”. Ecosystems 20 (5). Ecosystems: 960 - 974. doi:10.1007/s10021-016-0085-9. http://link.springer.com/10.1007/s10021-016-0085-9. Hourly weather data from the Arctic LTER Moist Acidic Tussock Experimental plots from 2011 to present, Toolik Filed Station, North Slope, Alaska. Yearly Eriophorum vaginatum Flowering data along a transect on the Haul Road, Fairbanks to Prudhoe Bay, AK 1979 to present.